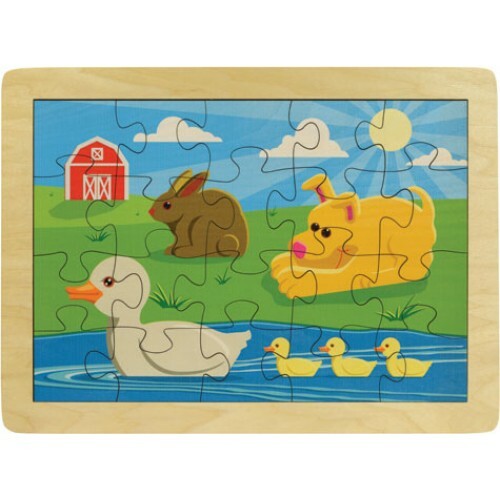 This brightly colored Duck Pond Puzzle has 20-pieces and sits in a 15" wide by 11" high frame. Printed image won't scrape off with general wear. Crafted from 1/8" thick, high quality birch plywood with laser-cut pieces for precision fit. Shipped shrink wrapped. A perfect beginner puzzle for your young one.